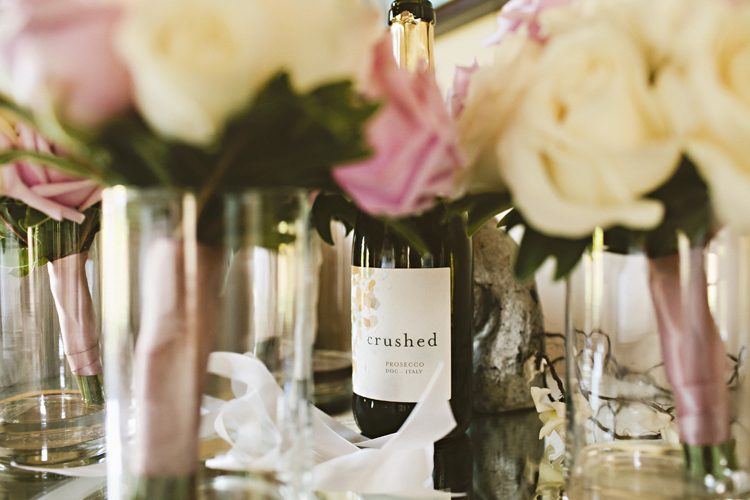 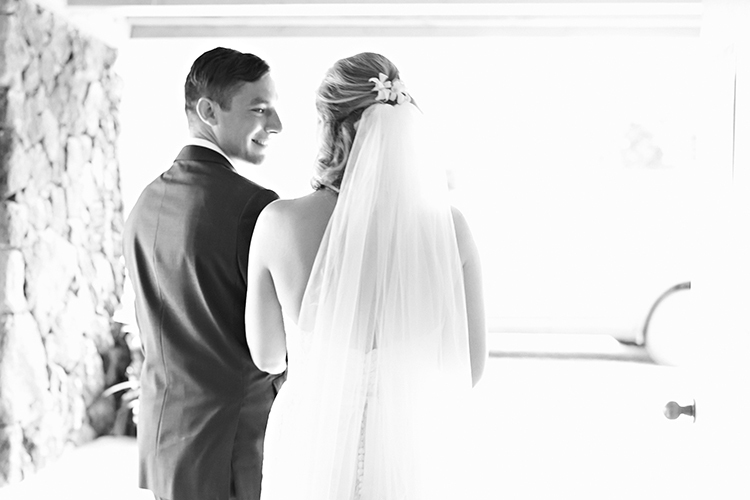 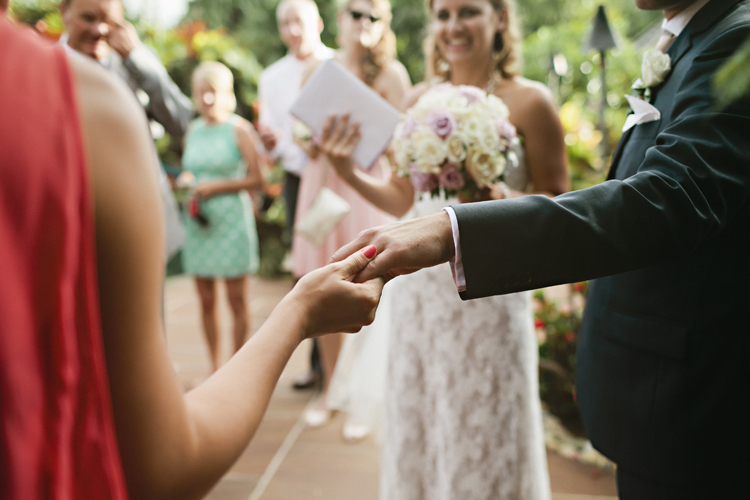 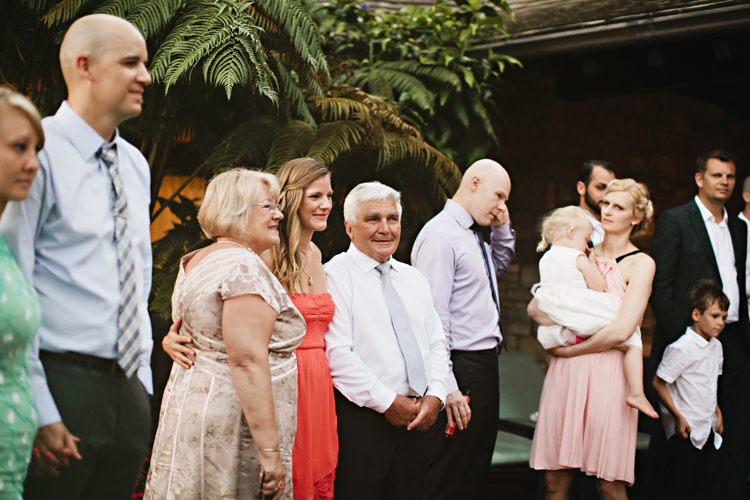 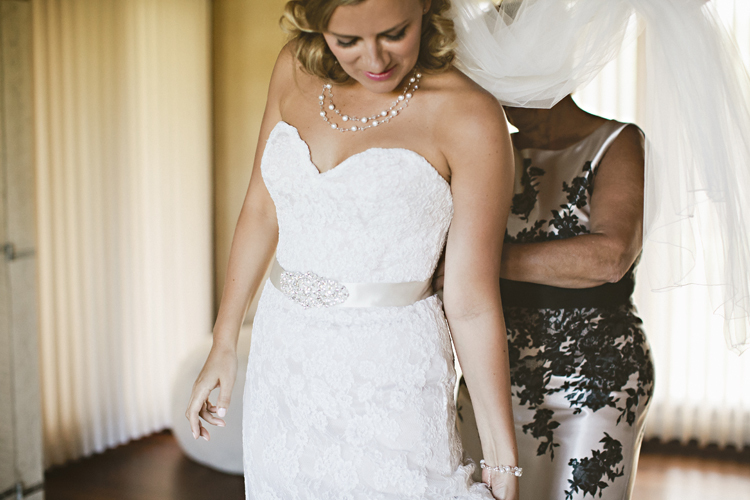 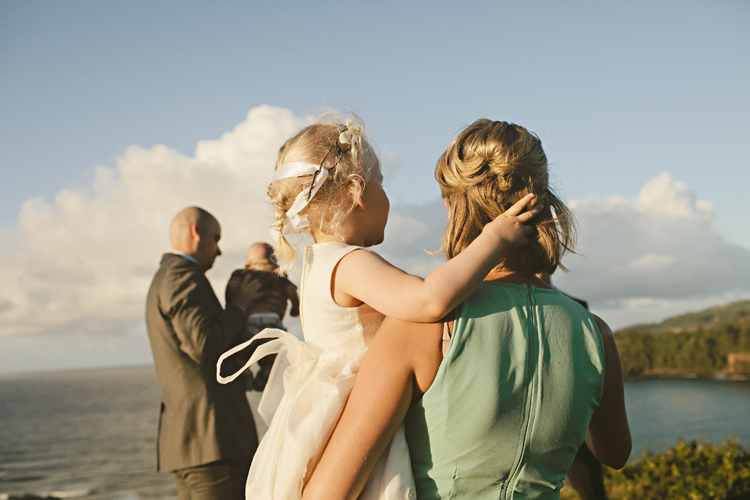 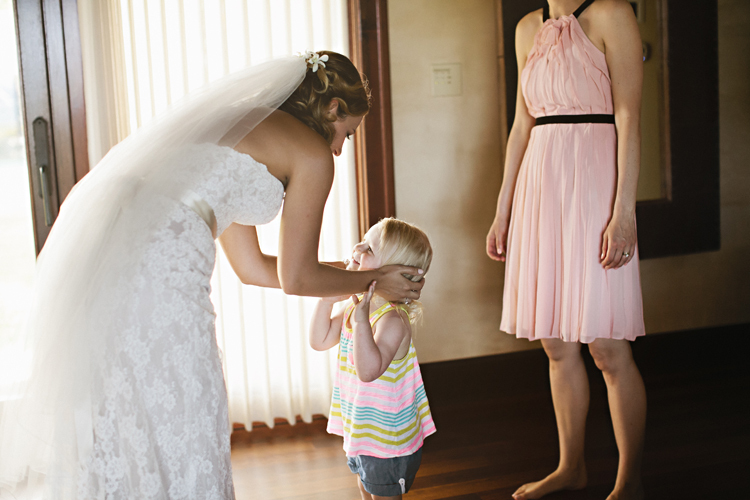 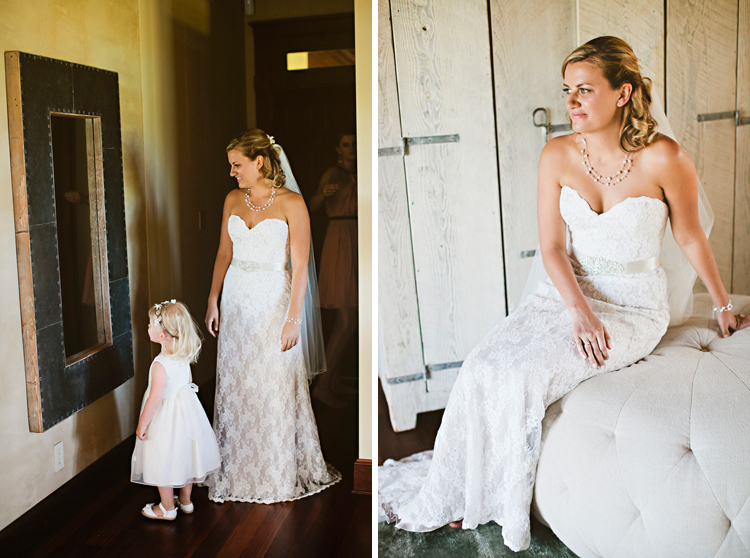 Small, intimate weddings are something special. 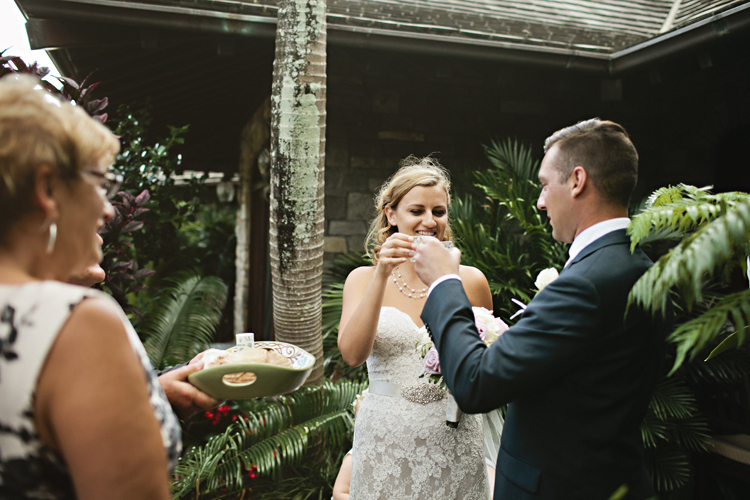 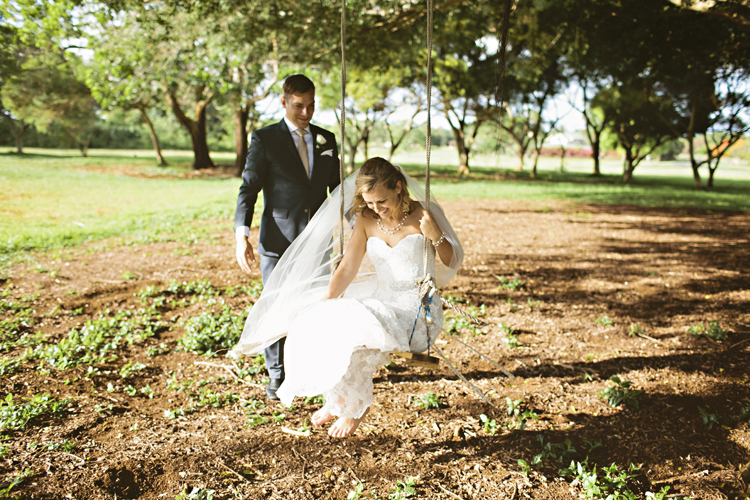 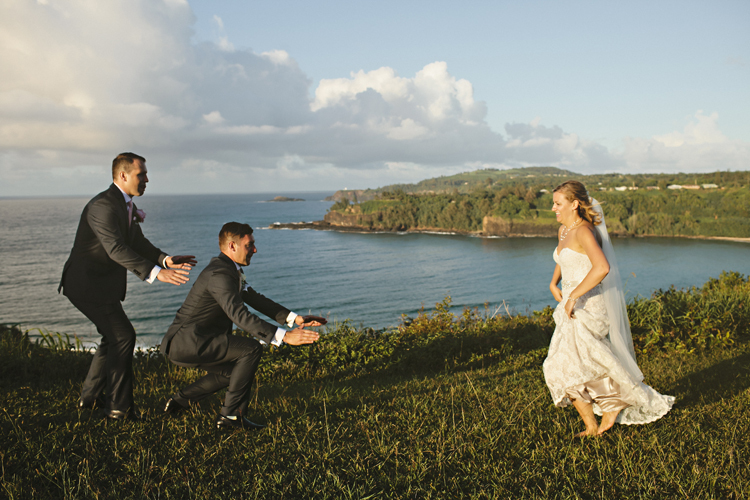 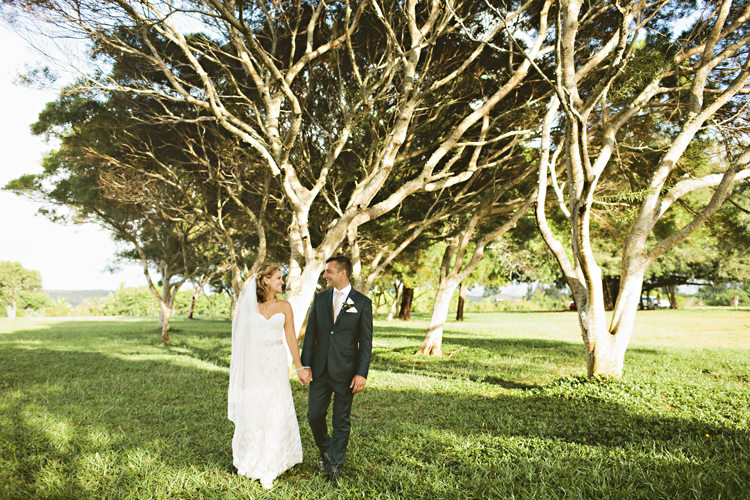 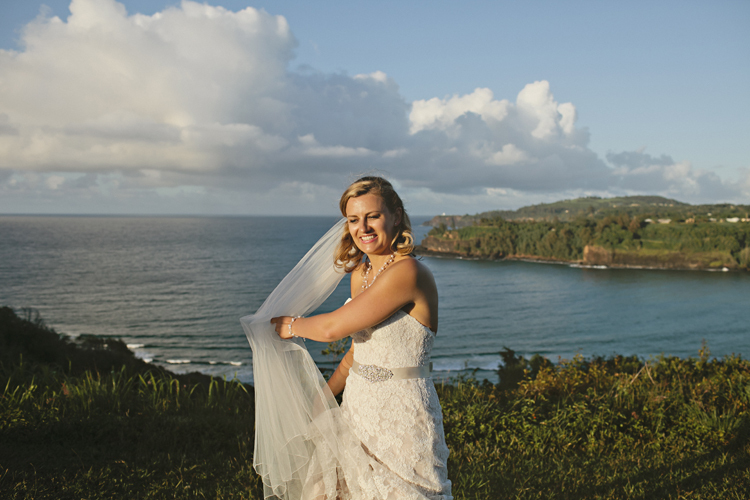 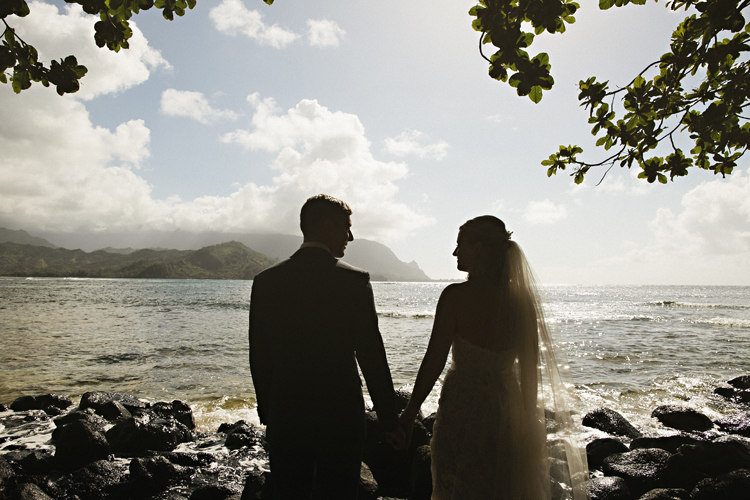 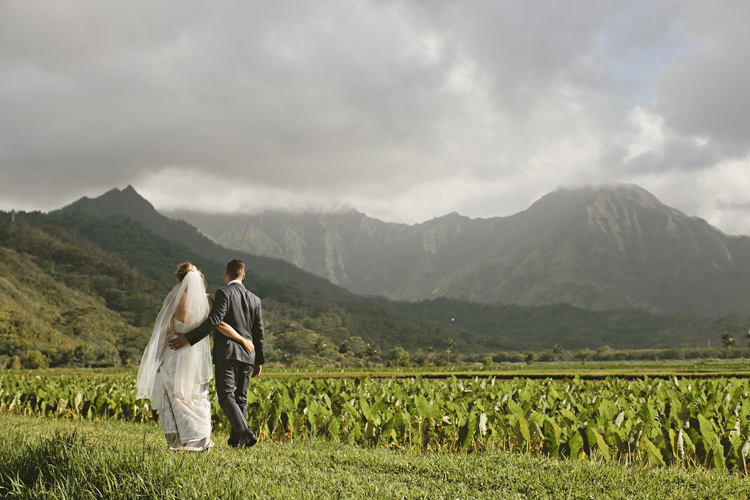 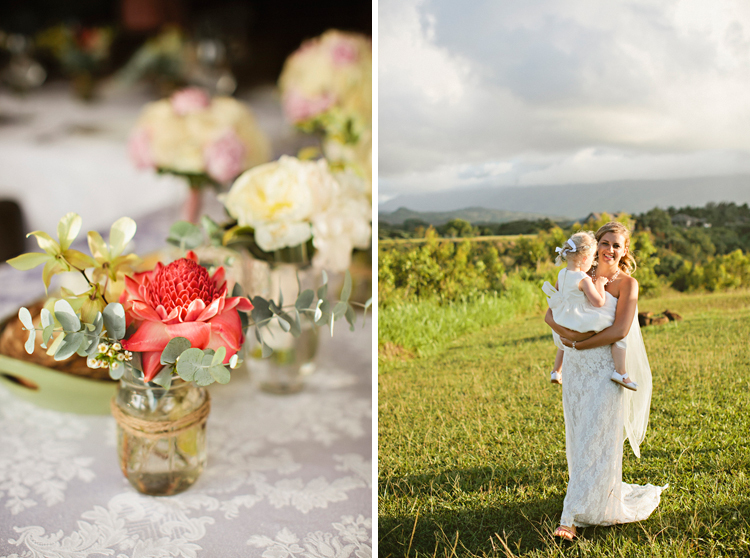 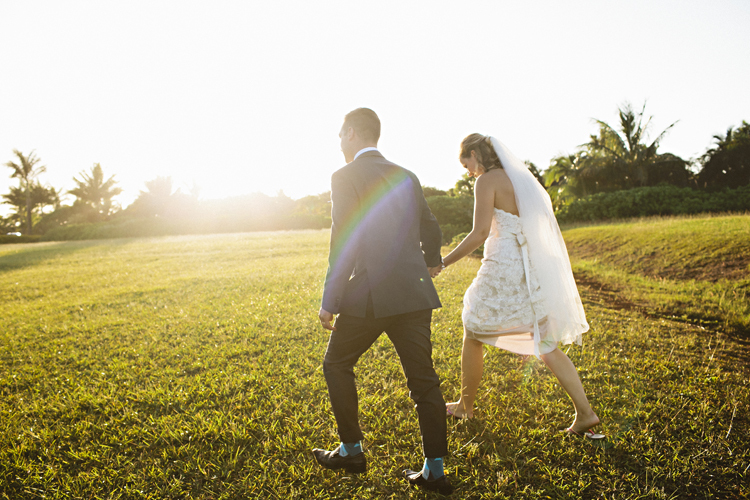 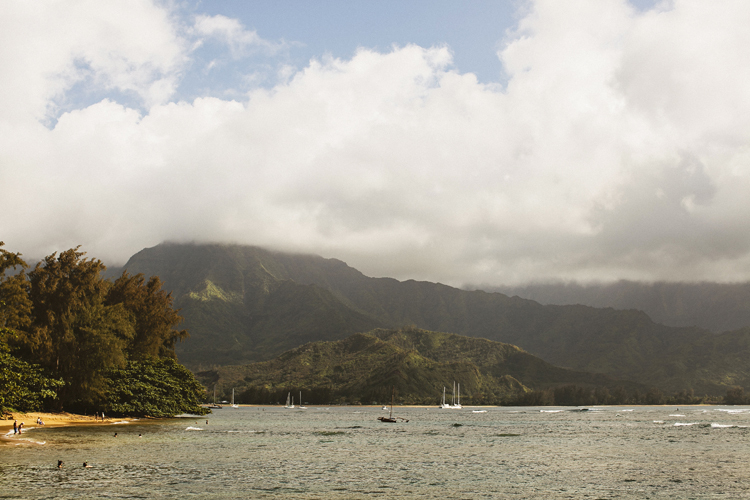 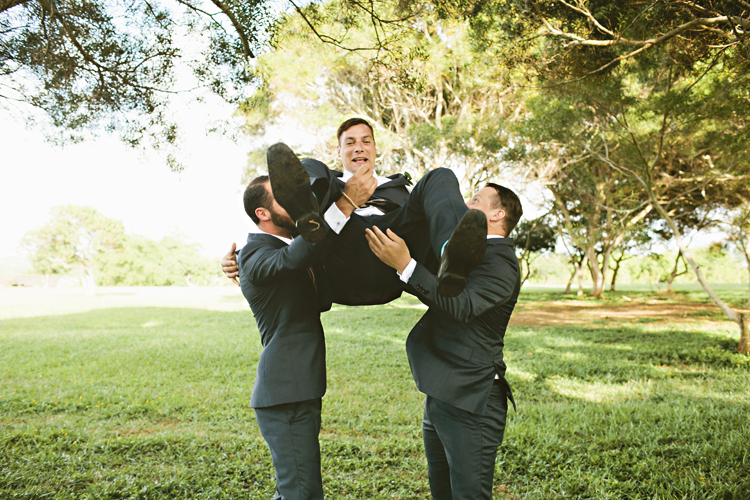 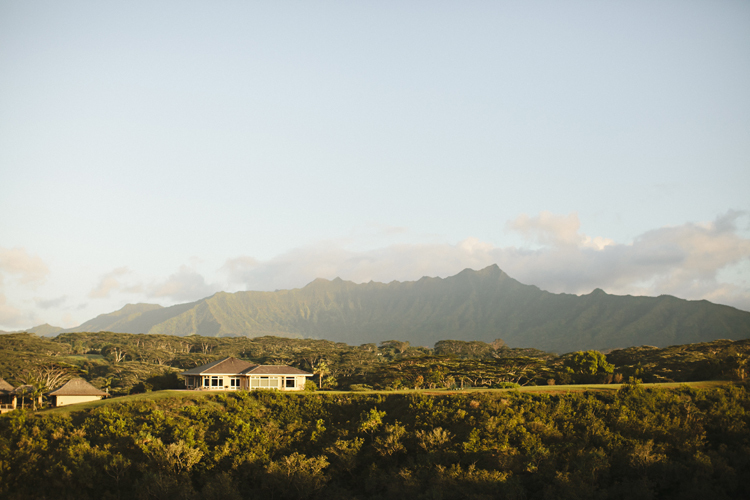 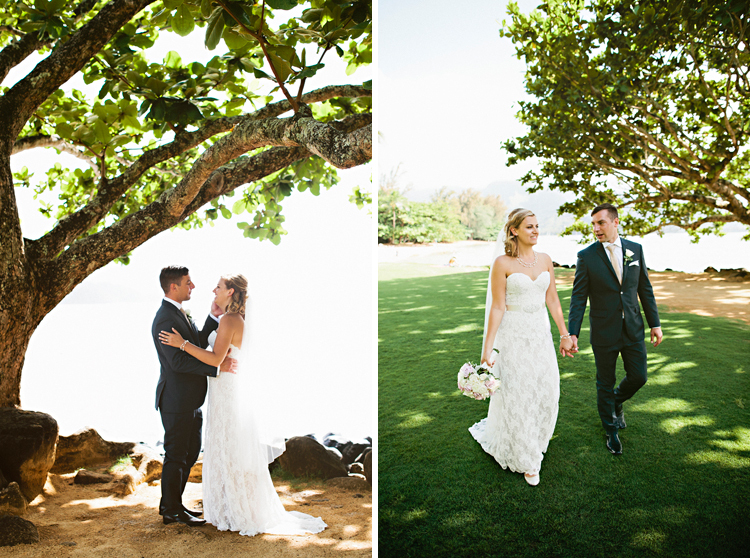 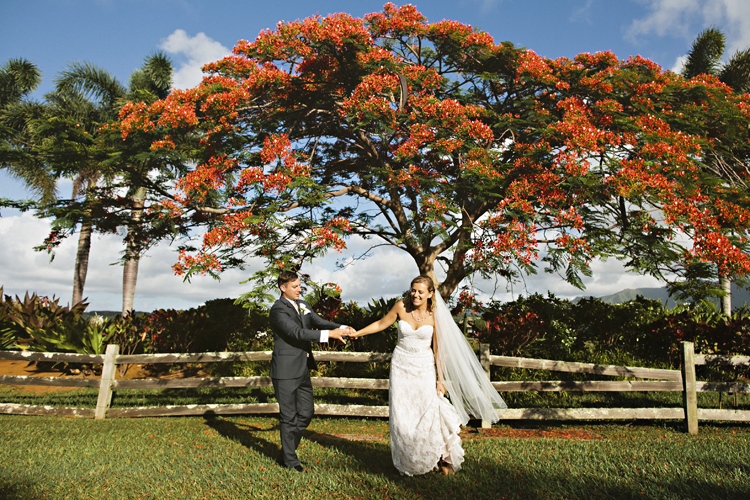 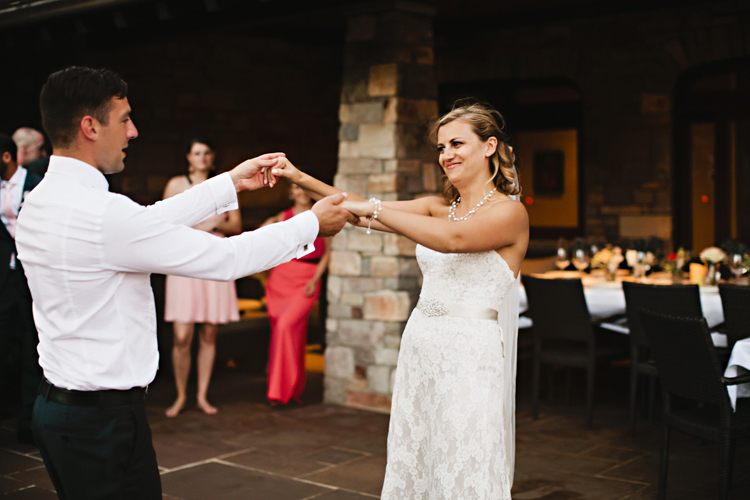 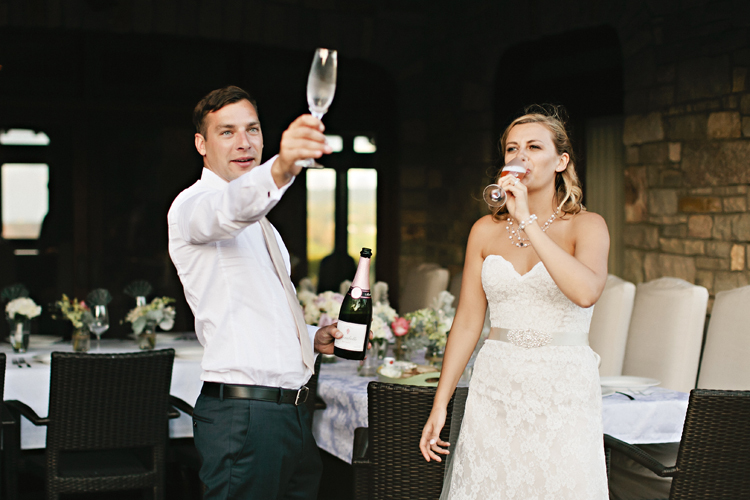 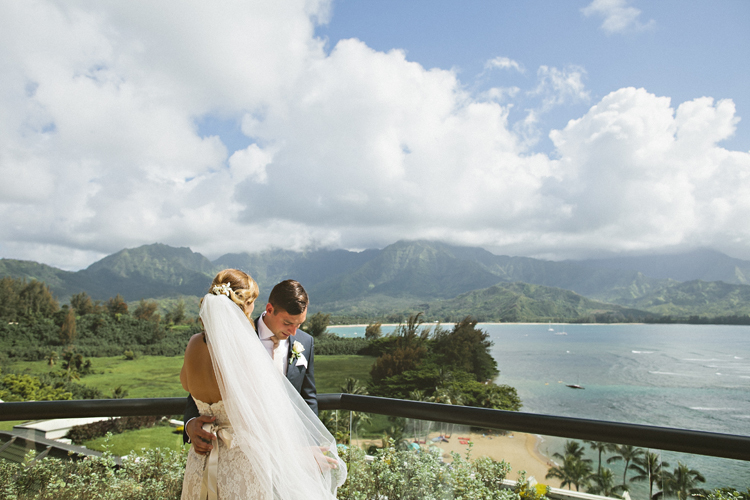 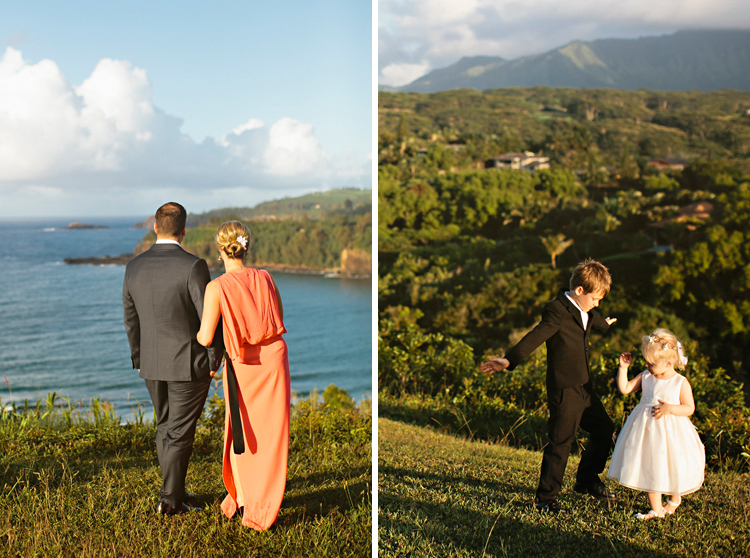 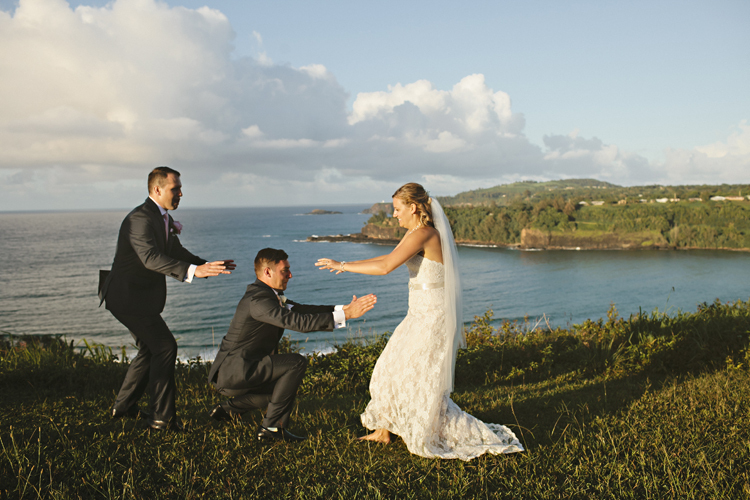 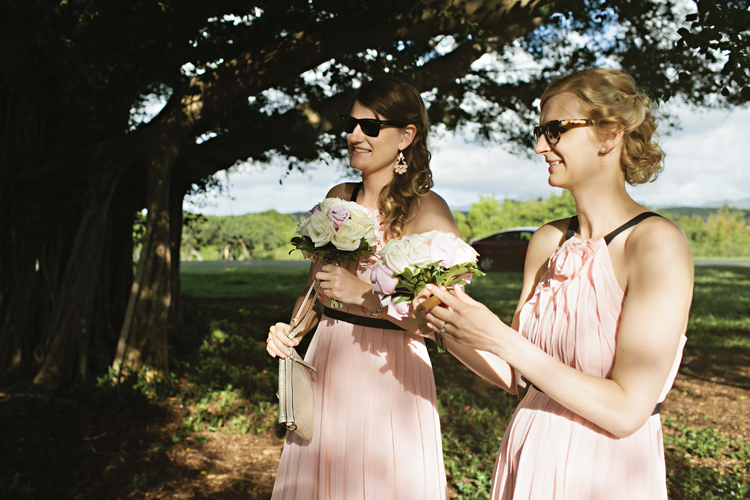 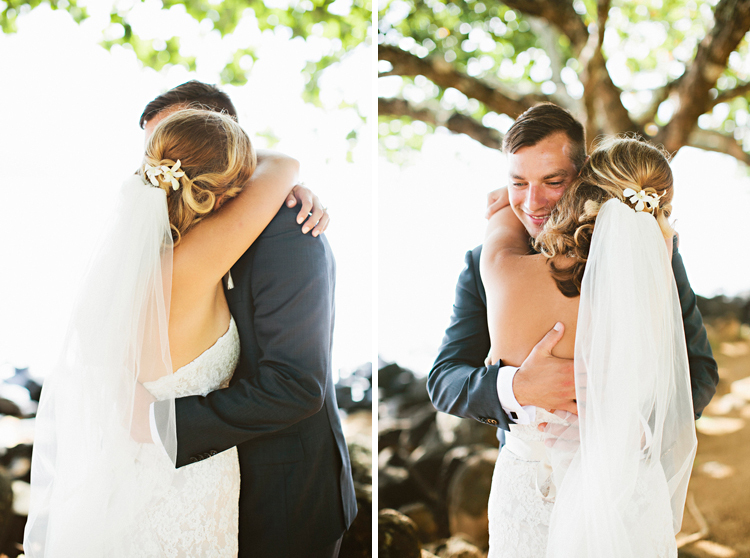 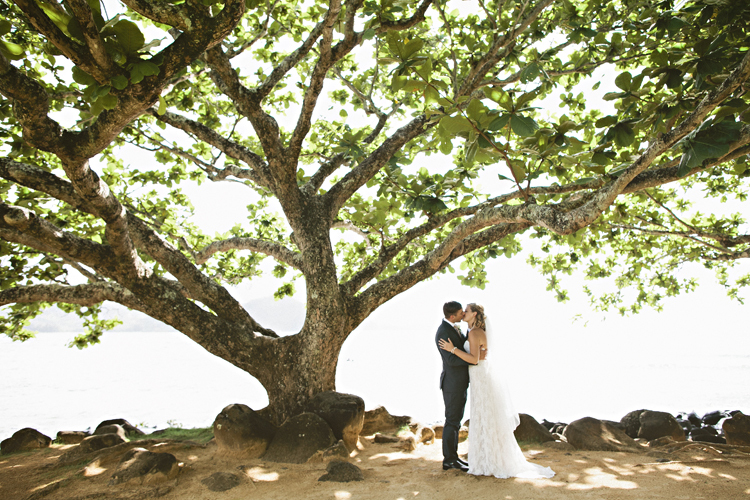 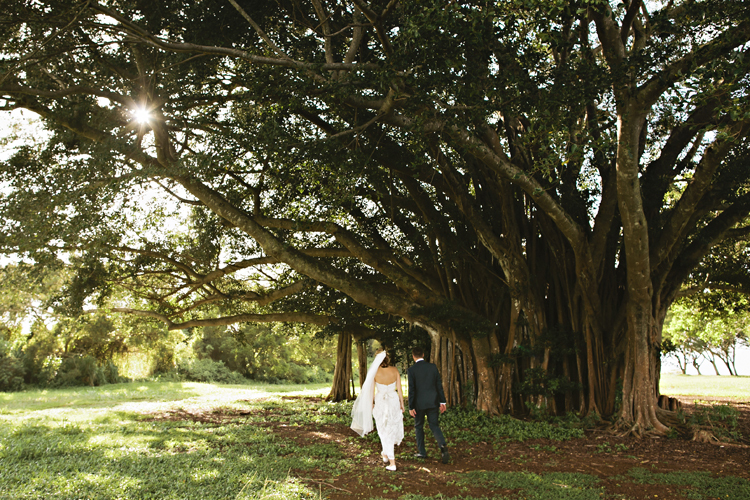 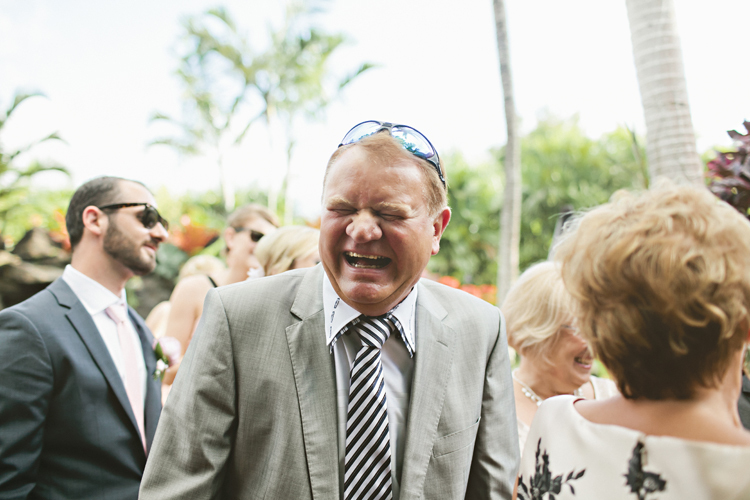 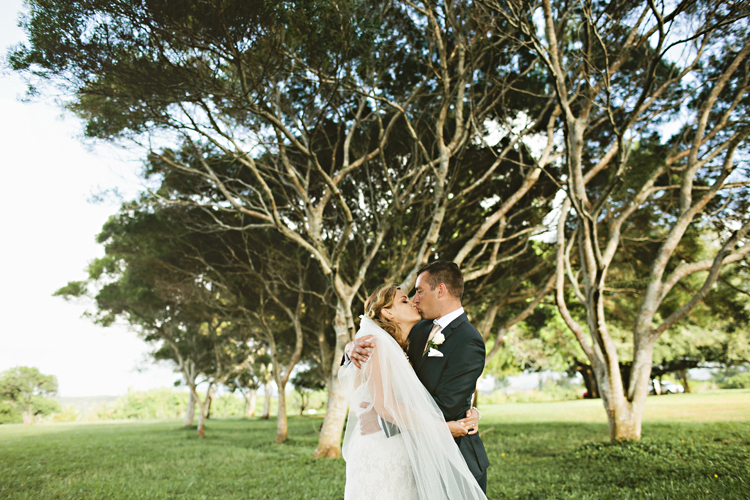 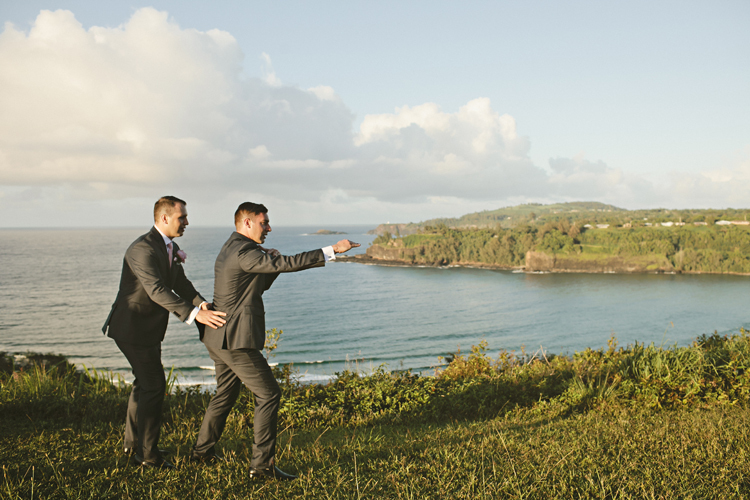 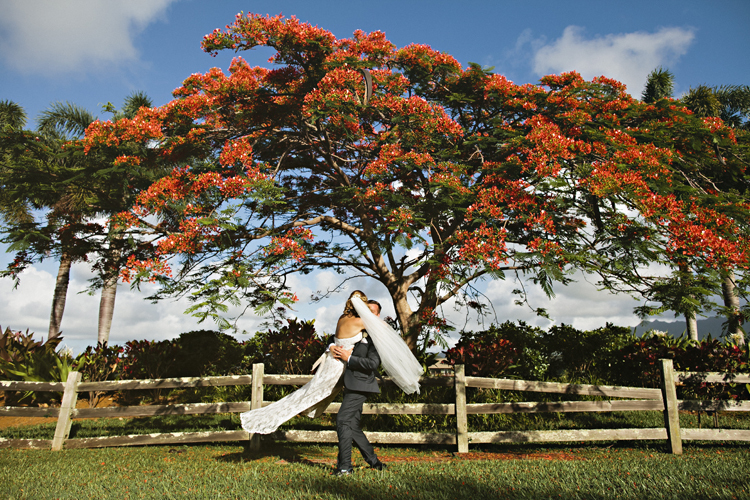 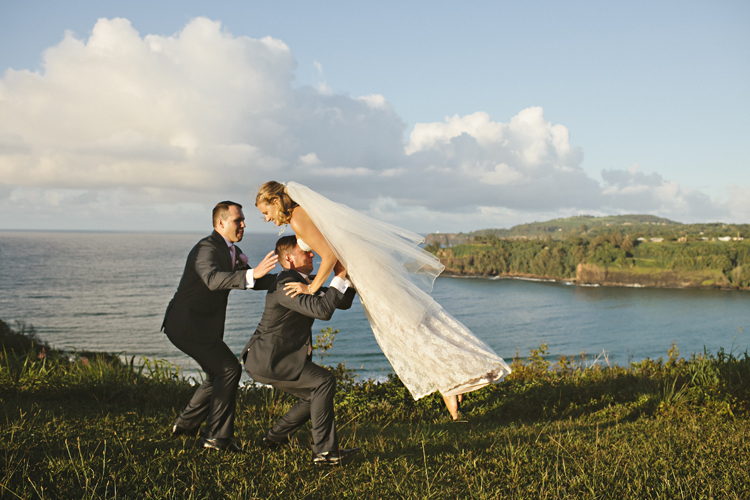 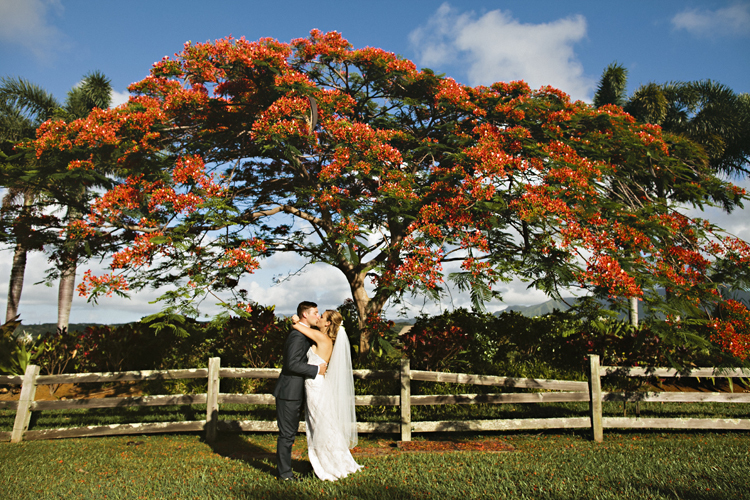 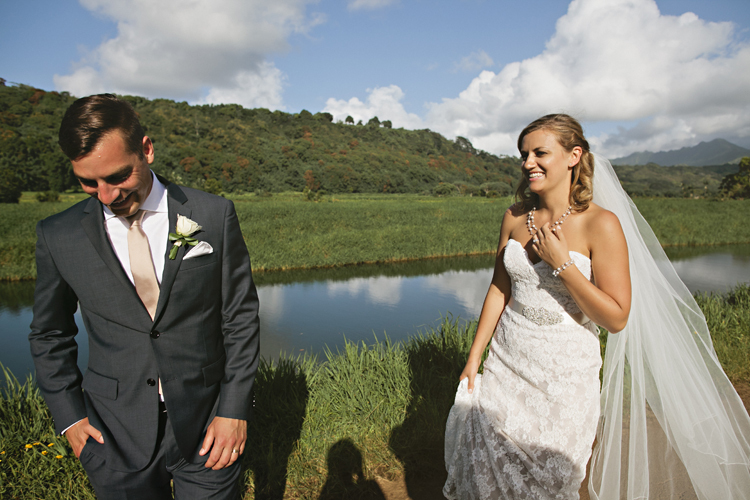 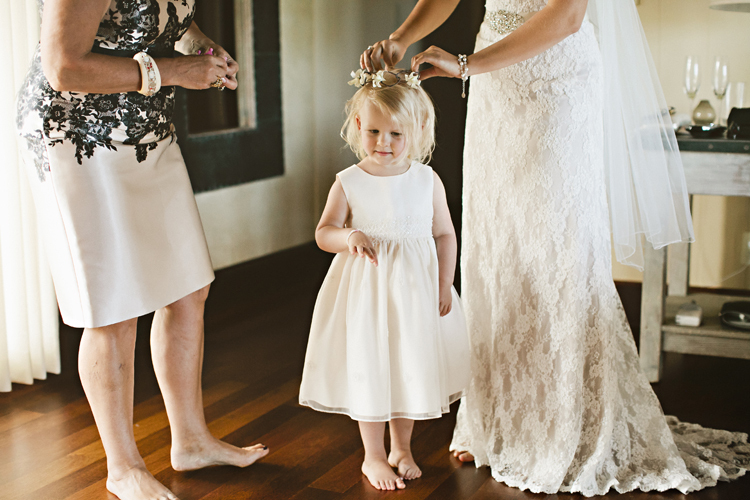 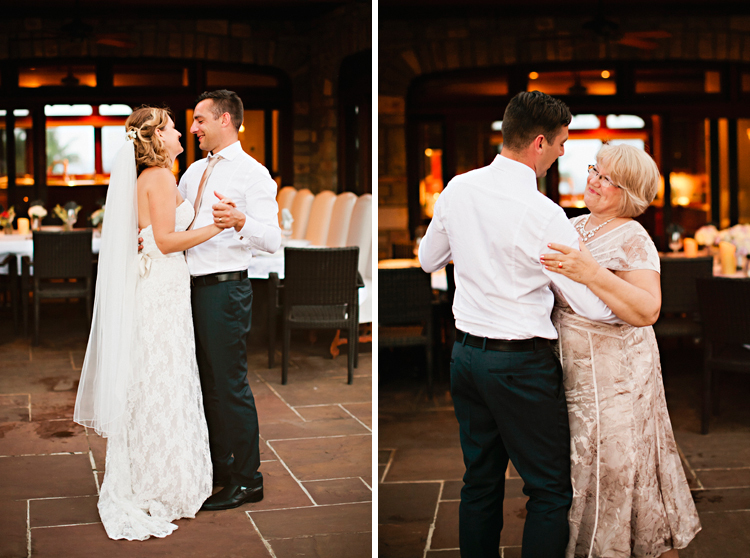 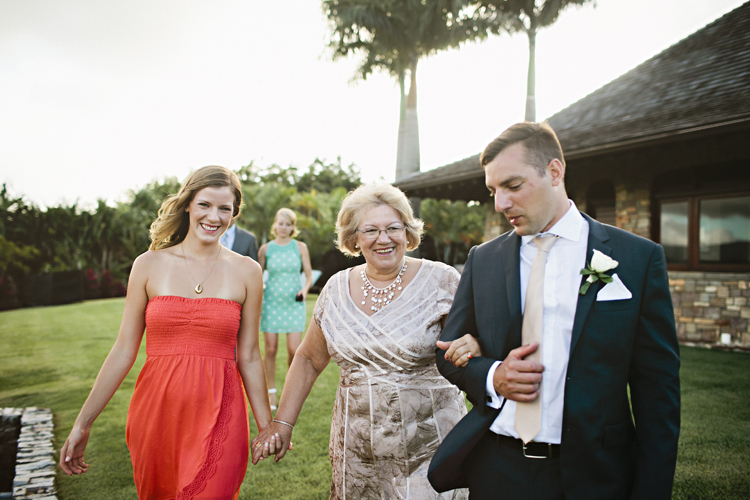 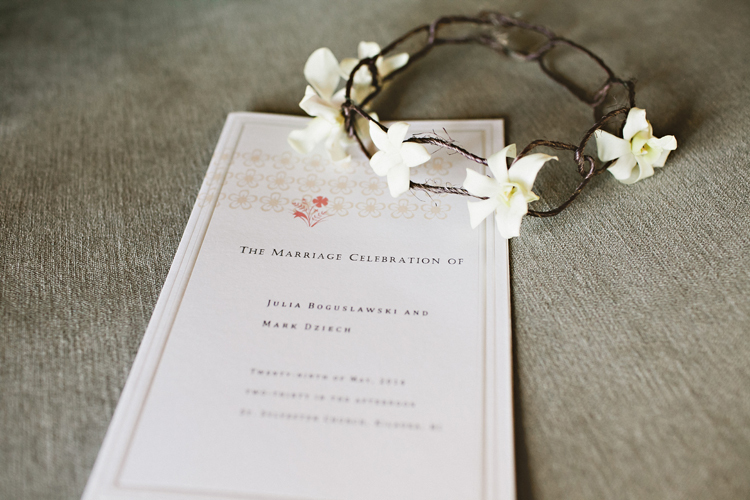 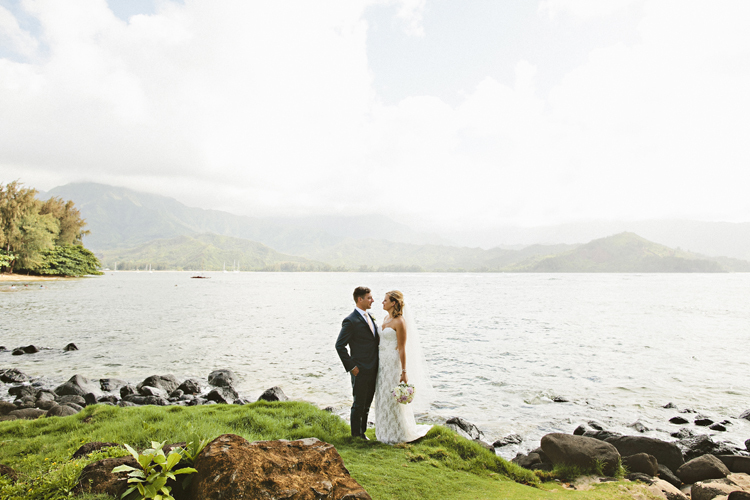 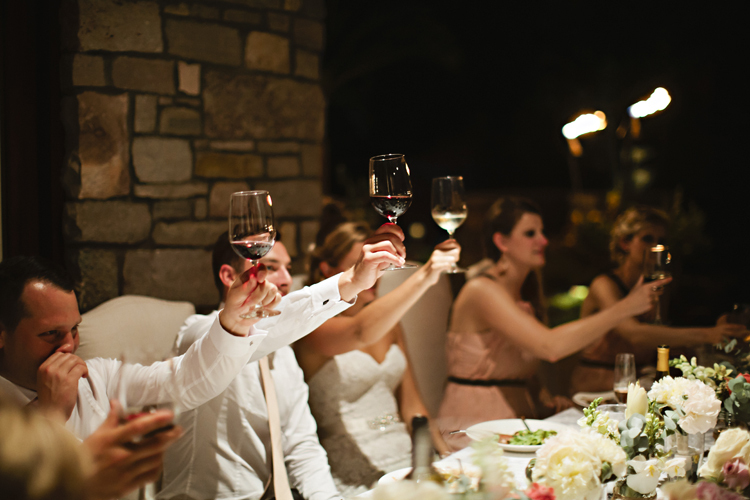 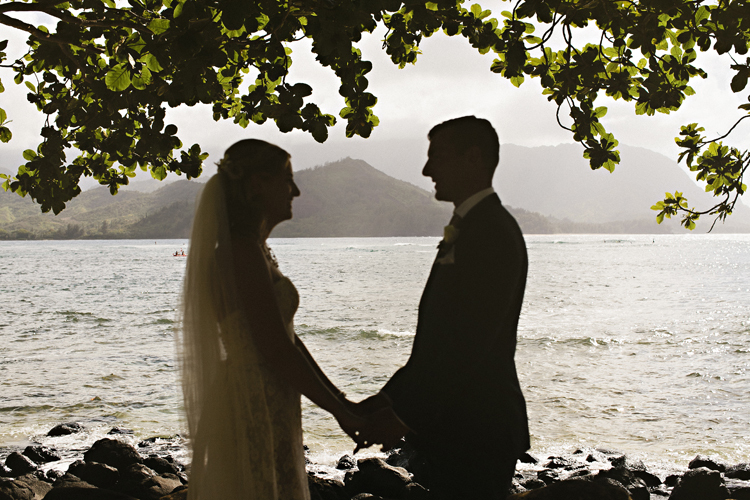 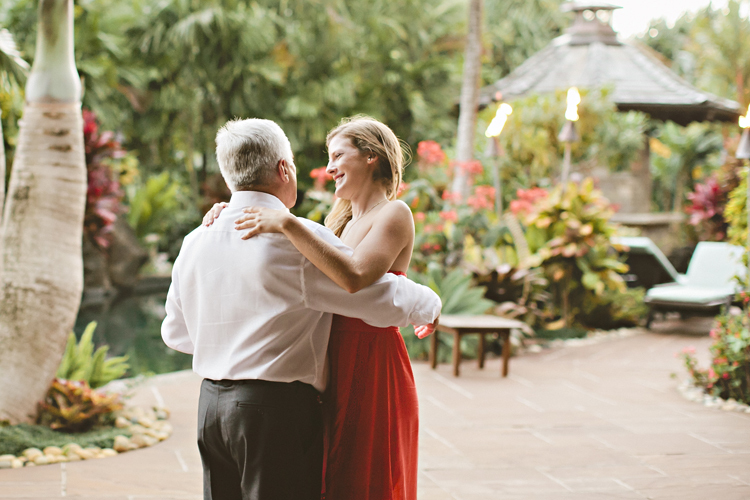 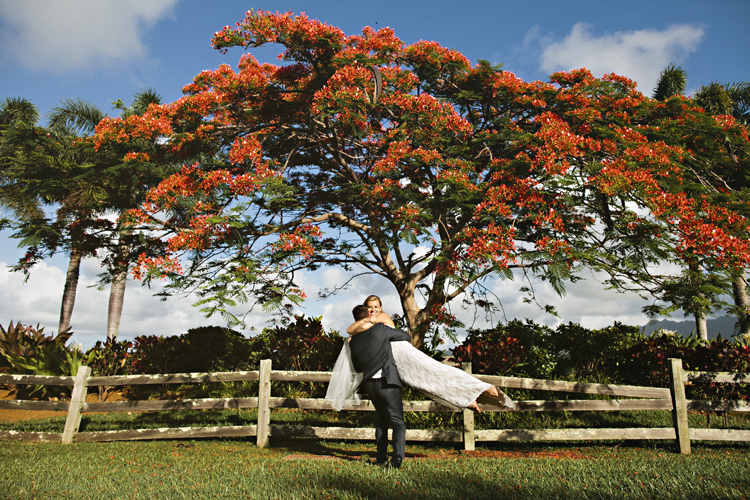 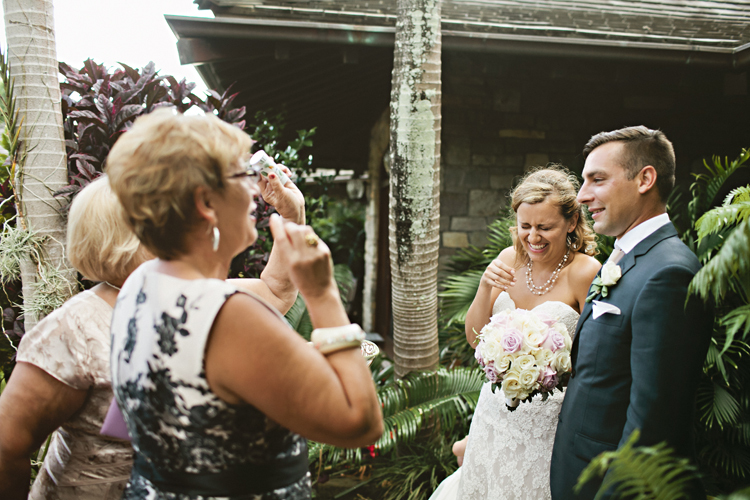 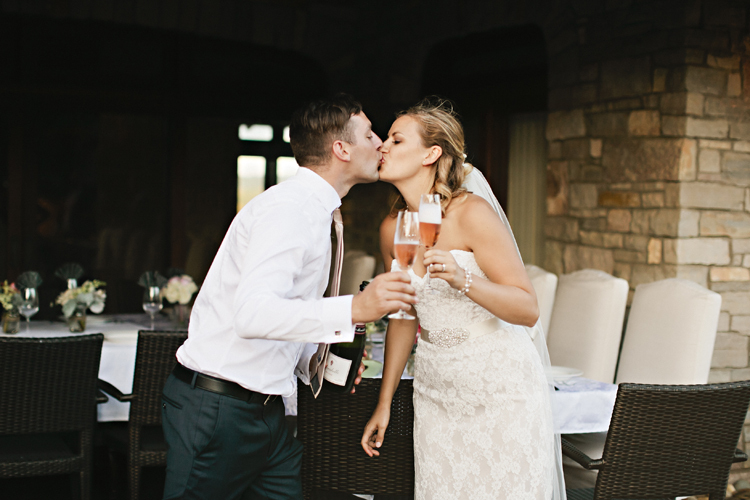 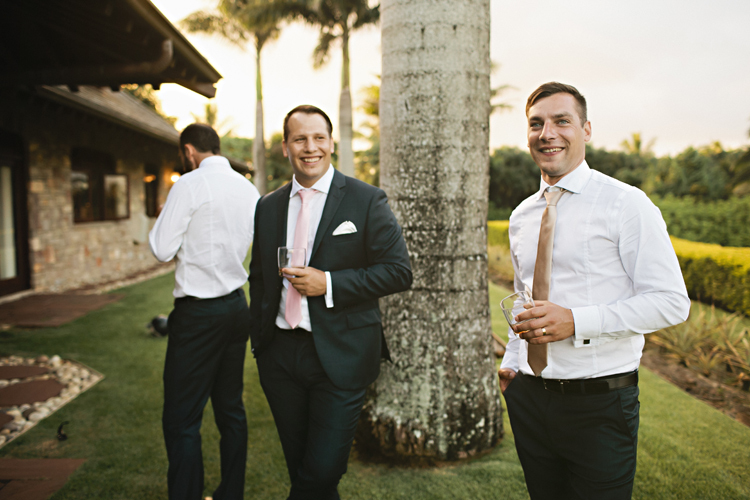 Mark and Julia invited family to join them on Kauai to share in their nuptials followed by dancing, drinks and a stellar view at a home they rented for everyone in Kilauea. 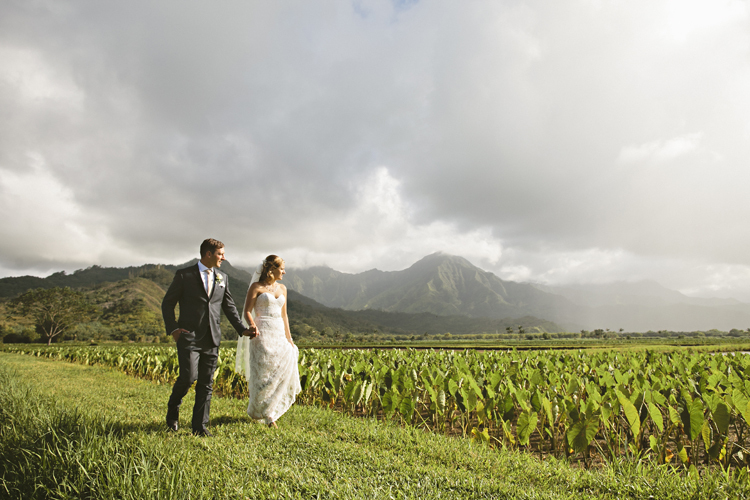 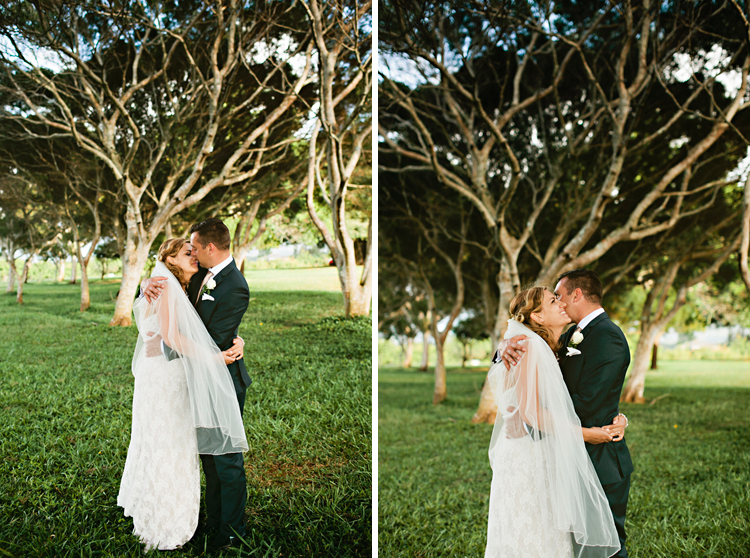 Portraits were really important to them so they allotted a couple hours after the ceremony and we drove around the North shore of Kauai, stopping at many of the picturesque locations. 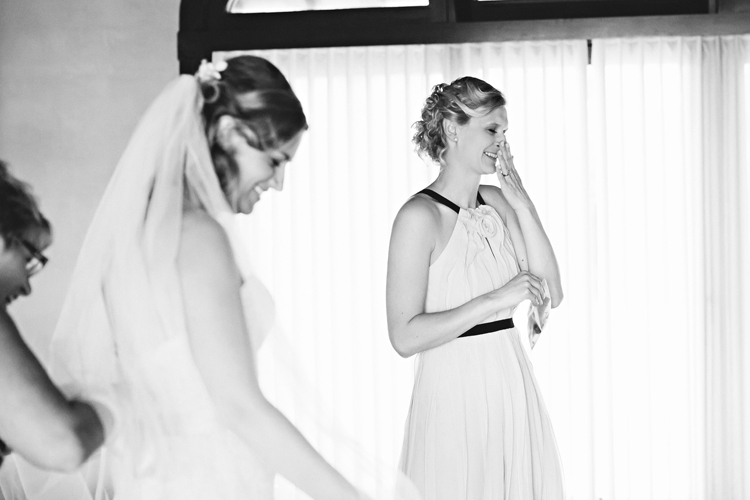 These two were a blast to be around and have such a playful energy. 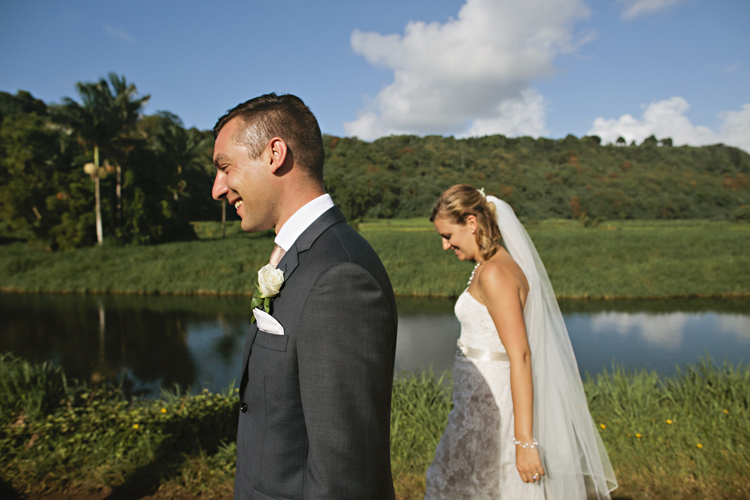 We were grateful that they invited us to be apart of the day rather than just documenting it from afar. 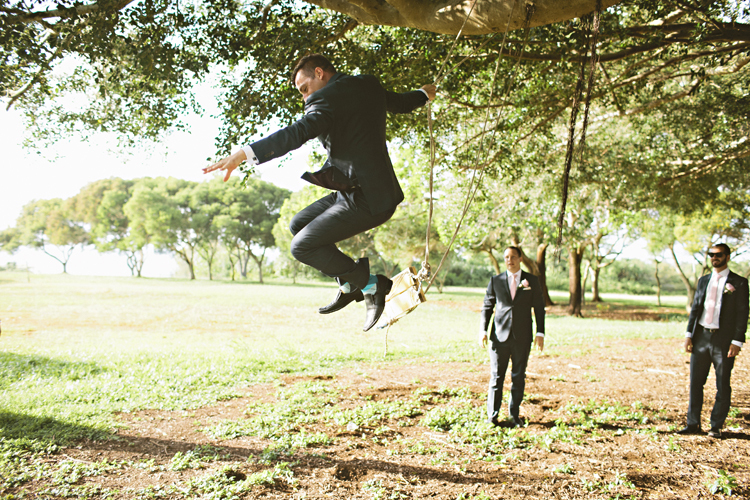 It allowed us to create more real, meaningful images. 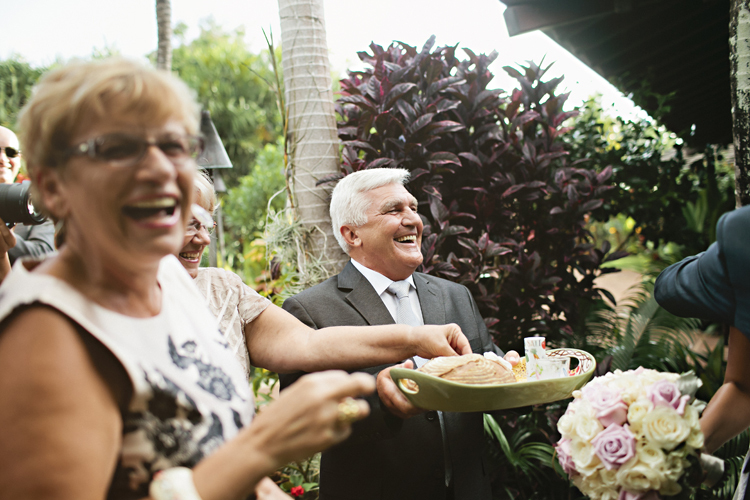 The dinner reception was filled with laughter, toasts, Polish singing, vodka shots, and dancing. 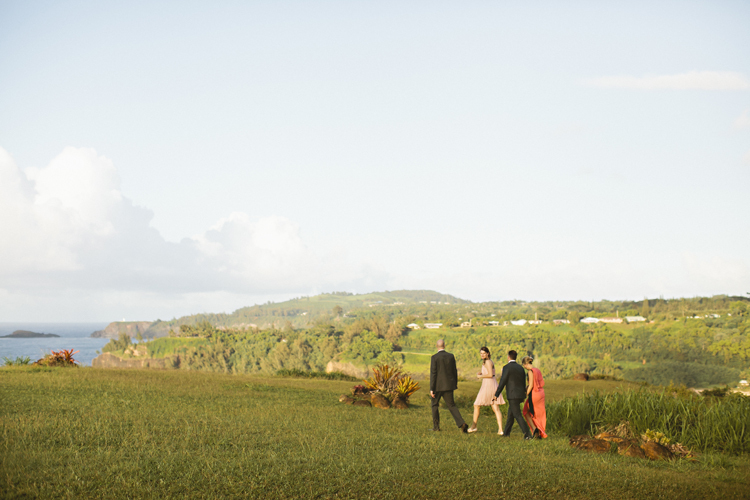 It was truly a joy to experience an insiders view of the family and their celebratory traditions. 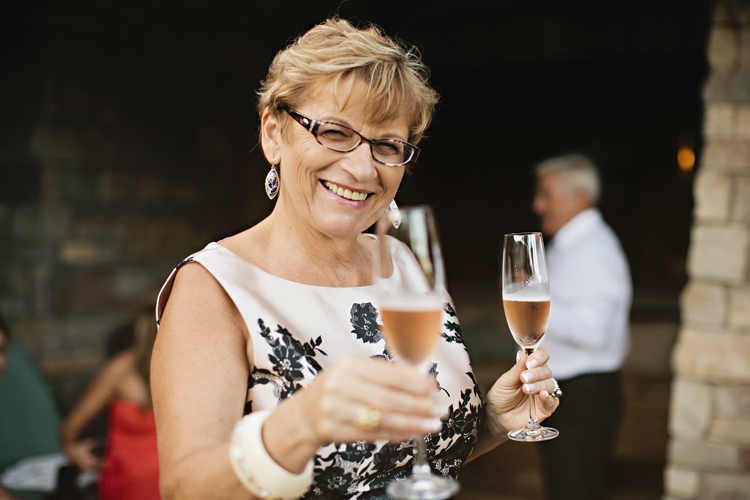 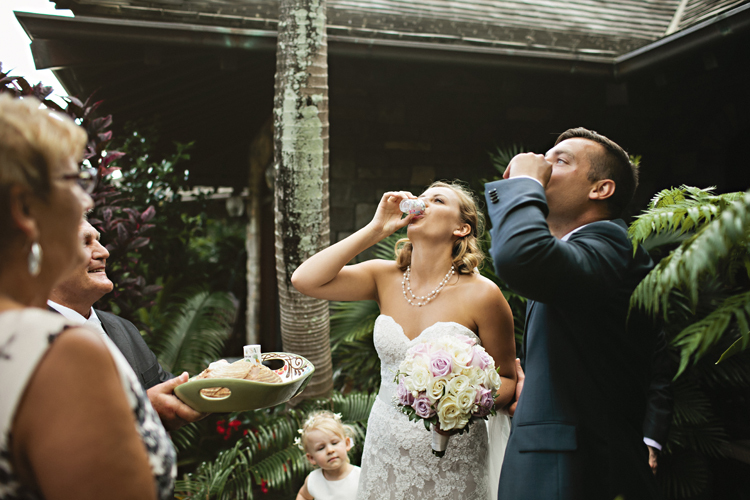 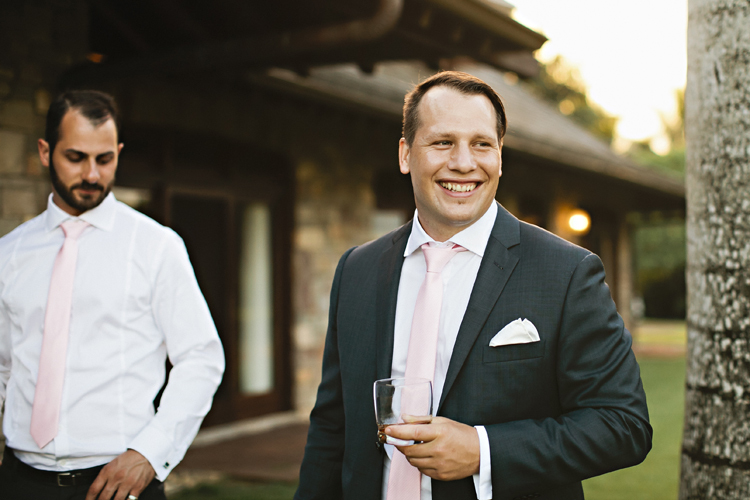 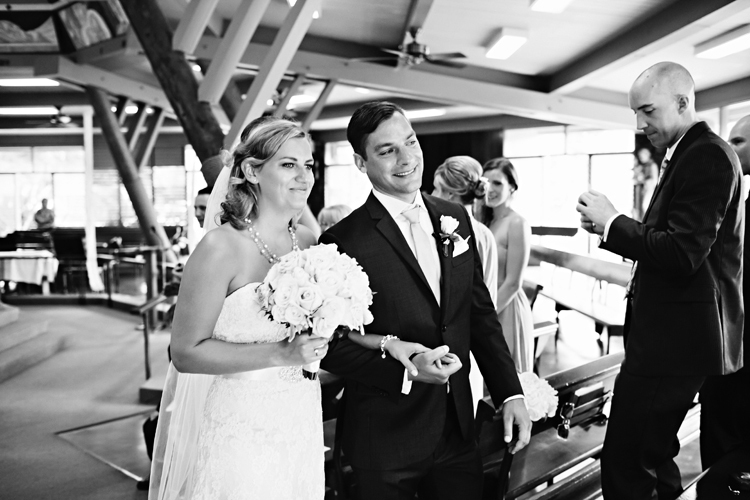 It’s a Polish tradition to have the bride and groom take a shot when arriving to the reception. 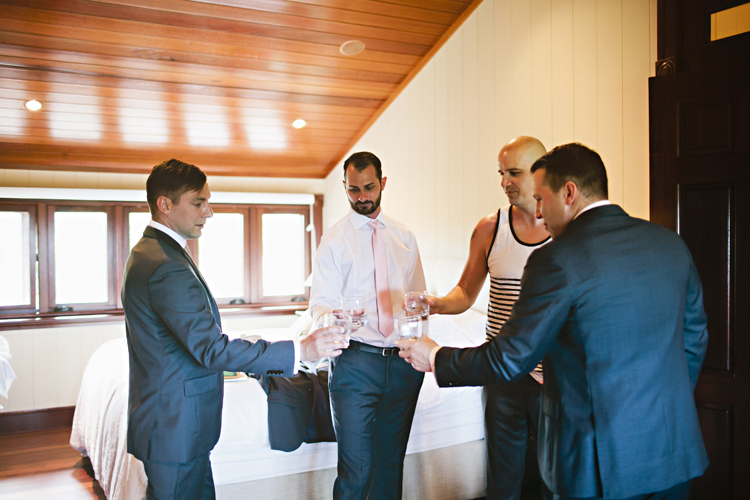 In one shot glass is vodka and the other water. 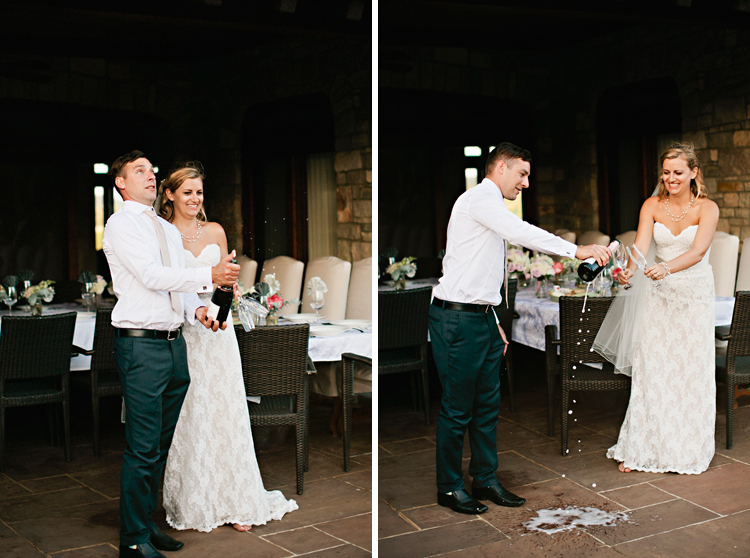 From what I understand, whoever receives the vodka wears the pants in the relationship. 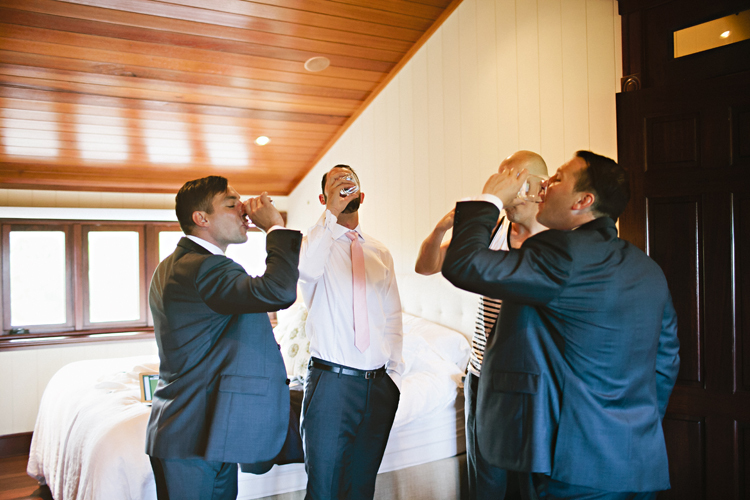 Mark and Julia’s parent’s were clever and put vodka in both! 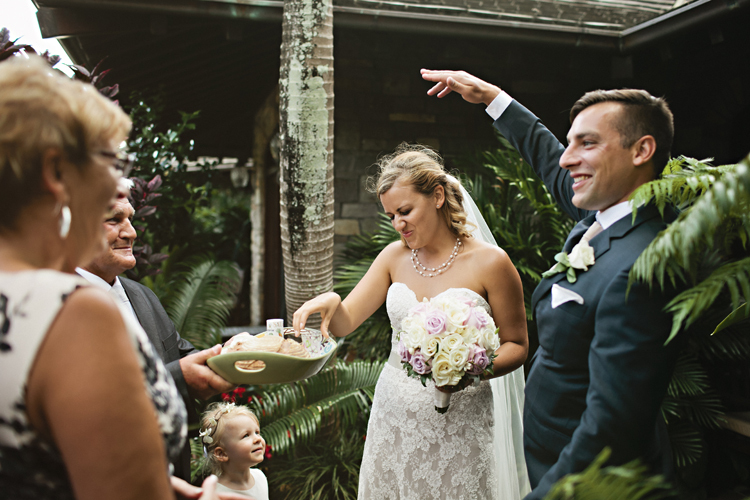 Mark thought he was the only one with the vodka but Julia’s face shows otherwise.